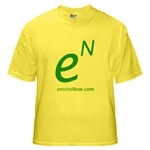 Welcome to enviroNow.com. This site is simply meant to help people acknowledge that we are all responsible for the environment and our planet. We have to learn to live with the earth and not on the earth. We have to realize that if we do not have a relationship with this living planet we will both pay a high price. Start to live with the earth today...now. Everyday you wait could be a lifetime lost for a future generation. Don't take Now for granted...one day Now may be too late. We all can play our part in helping us lead our world. Waterless Living - Just add water.